If Aureliano Montes seems more experienced than most people his age, it's because he started young. "I come from a big family," says the Mexican native, who moved to the U.S. in 1991. "I started working from a very young age. I think I was like eight years old when I started helping my family in their business which had nothing to do with Restaurant Business. My brother got me a job in a family restaurant," he adds. "It was my first job and since then I've felt it in my blood." "I have done all the jobs you can think of in a restaurant," says Aureliano. "From washing dishes to training employees, supervising, managing, working all kinds of shifts, opening new restaurants, hiring, training, fixing issues in other restaurants...I feel like I apply different types of my knowledge and experience." So what does Aureliano like the most about restaurant work? "Everyday is different," he says. "I love meeting new guests who come to the restaurant as well as the regulars who come back to enjoy the food and service. I really enjoy when guests end up with a big smile on their faces after having the best meal." 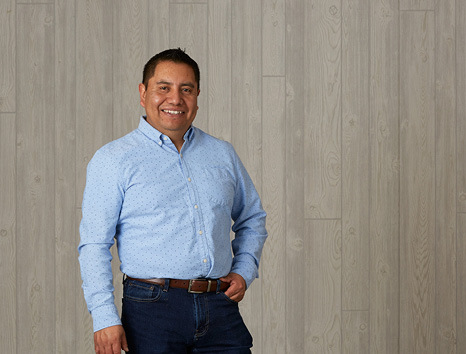 Of his co-workers, Aureliano says, "I love helping employees reach their personal and professional goals. One of my personal goals is to make each day better than yesterday and to turn any bad situation into a positive one." And it sounds as though Aureliano's young children are on track to start early like Dad. "I enjoy being with my family. I love teaching my six- and four-year olds how to cook."